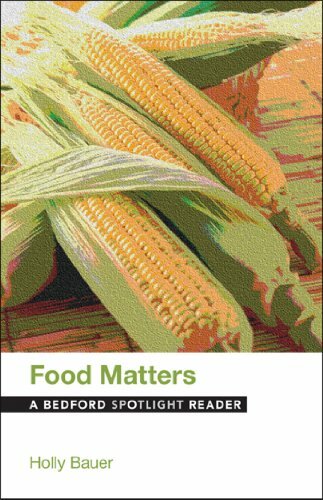 Food Matters explores central questions around the seemingly simple topic of food: what is food, exactly? Do we eat for sustenance, for health, for pleasure? Where does our food come from, and why should we care? What does it mean to eat ethically? Readings by a range of essayists, scientists, health researchers, philosophers, reporters, artists, and ordinary citizens take up these questions and more. Questions after each reading provide a range of activities for students. The Web site for the Spotlight Series offers comprehensive instructor support with sample syllabi and additional teaching resources.